Scott Michael, AMSA president and CEO, sent a letter to the editor of Newsweek responding to a story about reports of fraud in the moving industry. “In response to the Dec. 9 article, “Why the Moving Industry Is Filled with Fraudsters and Scam Artists,” millions of Americans move every year and the vast majority of professional moves end with satisfied customers. While there are criminals in every industry, their actions should not be used to unfairly smear the nearly 200,000 Americans—ranging from small family-run businesses to national van lines—who work for the professional moving and storage industry. This story bears no relation to the wildly inaccurate headline attached to it. Only a couple of victims and a couple of fraudsters or scam artists are referenced, with none of the moves taking place in the past four years. This is hardly evidence of an industry “filled with” this problem. Let’s look at the facts. According to data from the National Consumer Complaint Database, there were 3,030 complaints nationwide about household goods moves in 2015, while there were 364 complaints about “hostage loads.” These are a tiny fraction of the 800,000 interstate moves estimated to occur annually by the U.S. Census. It’s important to note that often times these are unlicensed, uninsured criminals who work outside the law—not legitimate moving companies. Scam artists and fraudsters have no place in the industry. The American Moving & Storage Association, as the national representative of the professional moving industry, believes in strong consumer protections and enforcement of the law to bring those criminals to justice. 1. The American Moving & Storage Association offers neutral, third-party arbitration for customers of any of the association’s members for an interstate move at Moving.org. 2. The Federal Motor Carrier Safety Administration (FMCSA) offers assistance for moving fraud complaints at ProtectYourMove.gov. 3. Or, go to MoveRescue.com and call the phone number listed for help. Did your real estate agent refer you? If so, you are eligible for a 5% discount on a local move! Call today for details, or have your agent contact us. Our office is closed at 2 pm on Dec 23 and closed all day Monday Dec 26. Merry Christmas! Happy Hanukkah! Have a safe holiday weekend! 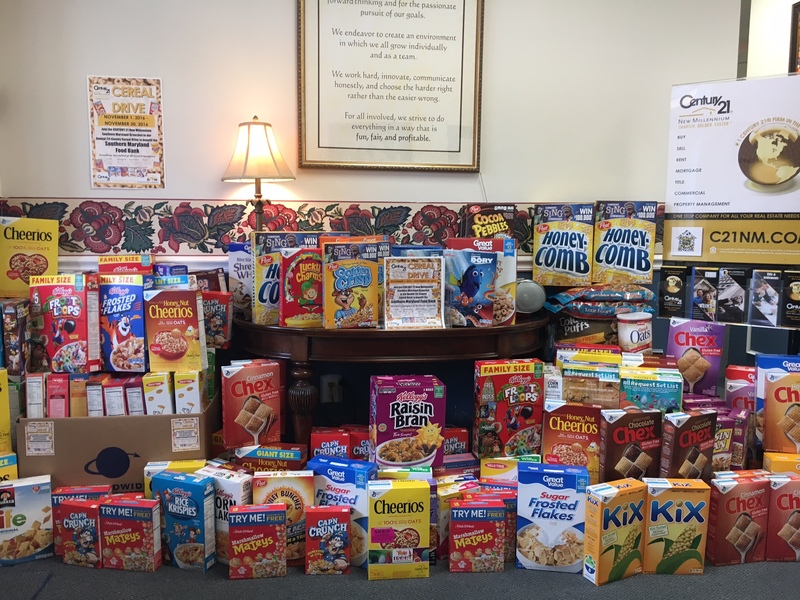 So MD Food Bank Cereal Drive Success! So MD Food Bank Cereal Drive Success! 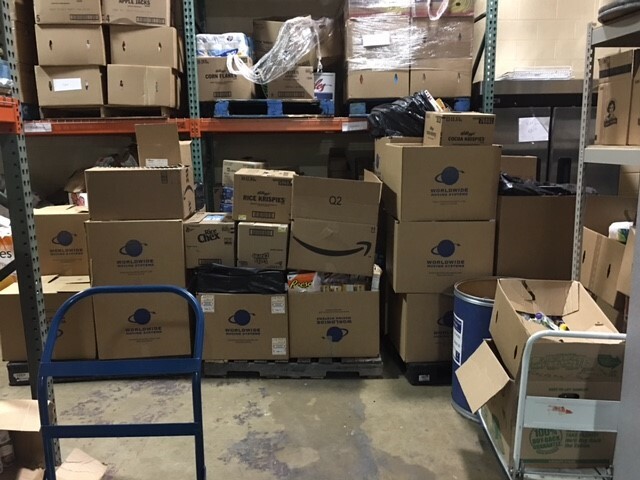 On Tuesday Dec. 6, Worldwide Moving Systems joined with Century 21 New Millennium to collect and deliver over 1600 boxes of cereals to the Southern MD Food Bank! We are proud to be part of this charitable contribution to our local community. Century 21 branches in Lexington Park, Prince Frederick, La Plata, and Waldorf all participated. Our sales office will be closed on November 24 and 25 as we celebrate Thanksgiving. We hope you have a safe and enjoyable Thanksgiving!